Mulan loves bringing her friends along for the ride in her Little People Parade float! 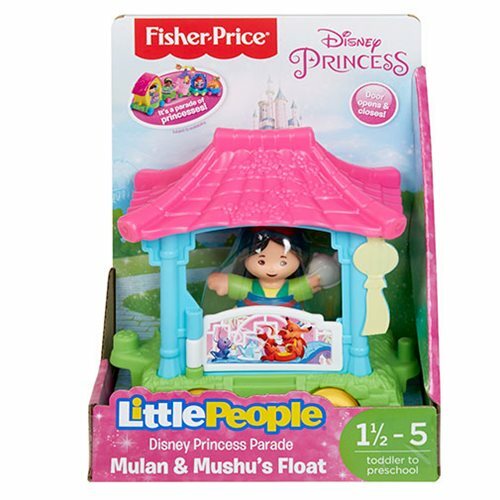 This Mulan Little People Parade Mulan and Mushu Float helps little ones build their own experience with their favorite character. Collect all the Disney Princess Parade vehicles to create the ultimate magical parade (each sold separately).